Hey yogis, today's class is all about making our way into one of my all-time favorite arm balances, Eka Pada Kundinyasana 2! (eka pada 2 for short, it's a mouthful!) Not only does this pose require a strong upper body, you also need quite a bit of hamstring flexibility to be able to extend your legs. 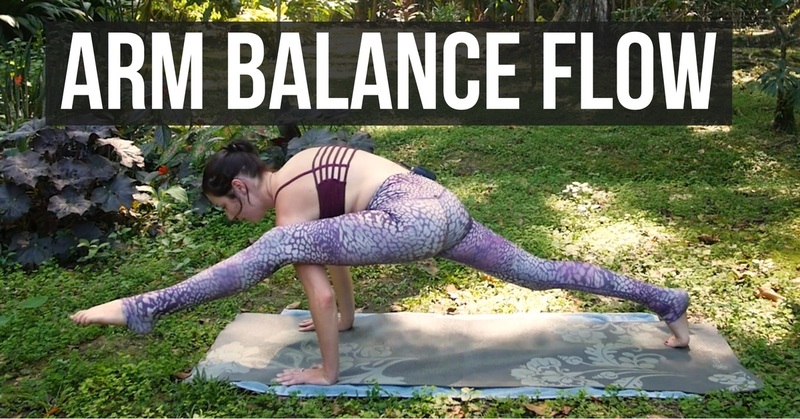 This flow will warm you up in just the right way to give you your best shot at balancing on your hands. We'll do a lot of core work and then get into poses like pyramid, wide fold and Warrior 2 to open up your hips and hamstrings. I'm not using any props in this practice and this is best suited for intermediate to advanced yogis.